Days after the Eagle Creek fire, a haze of choking smoke settled over Portland. It turned the sun and moon an ominous blood orange and forced many to wear specially rated masks to combat the unhealthy air quality. Across Oregon, that same smoke drifting off the more than 600,000 acres currently burning have blown through some of the state’s largest and most prominent wine regions, putting grapes at risk for developing what winemakers and scientists call “smoke taint.” As Oregon enters the harvest for the 2017 vintage, grapes are more susceptible to smoke now than at any other point in the season. And with warmer and drier summers creating prime conditions for wildfires expected in the future, it’s possible many vineyards in the future will have to grapple with the negative side effects of smoke. In Southern Oregon, the Chetco Bar, Miller Complex and High Cascades Complex fires threaten large swaths of the Rogue Valley and Umpqua Valley, an area responsible for more than 20 percent of the state’s grape production, according to the Oregon Wine Board. In the Columbia River Gorge, the Eagle Creek fire has brought several smoky days and left ash across vineyards in that region. For now, the Willamette Valley, which grows more than 70 percent of the state’s grapes, has seen little to no smoke, but several weeks remain in the wildfire season. Greg Jones, a wine climatologist who runs Linfield College’s wine education program, said smoke has the potential to “taint” wines. Smoke particles from wildfires or grass fires can stick to the waxy outer layer of grapes. That crenulated surface, unnoticeable to the naked eye or touch, has the ability to hold small particles, like yeast, bacteria or smoke. For drinkers, smoke-tainted wine can have an “ashy” or “petrol” nose and a flavor that’s different and harsher than the “leather” and “earthy” qualities often imparted from oak barrels, which are burned slightly on the inside, Jones said. The biggest problem for winemakers is that they don’t know all the specifics of smoke and its effect on grapes. Researchers are still trying to answer the crucial questions of just how much smoke and what kind of exposure creates the problem. For now, Jones said, “sufficient smoke within the canopy or vineyard zone” could be enough to adhere to and permeate the fruit’s skin. Unfortunately for winemakers, smoke is a problem that can’t be mitigated or protected against like drought, frost or pests. But Quady is hopeful about Southern Oregon’s grapes, even with the increase in smoke in the region. 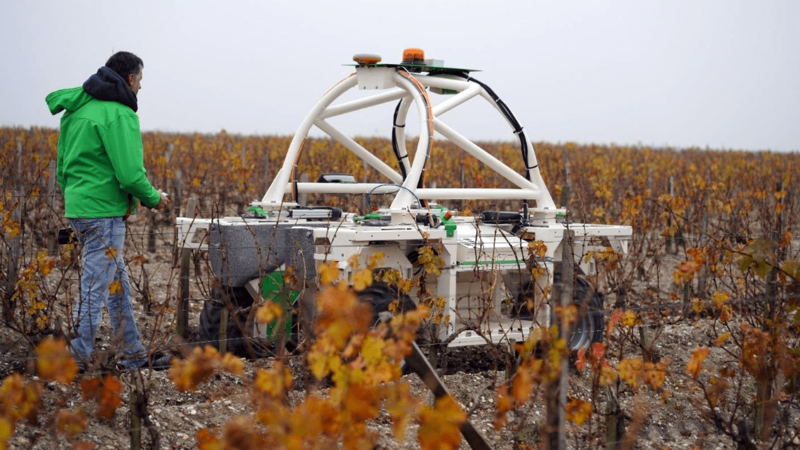 Winemakers disagree on which grapes are susceptible. Roco Winery co-founder and winemaker Rollin Soles says no variety is immune if enough smoke is present. Quady says pinot noir, which for years has been Oregon’s crown jewel, is “very susceptible” to smoke taint because of the timing of its ripening and the softness of the skins. 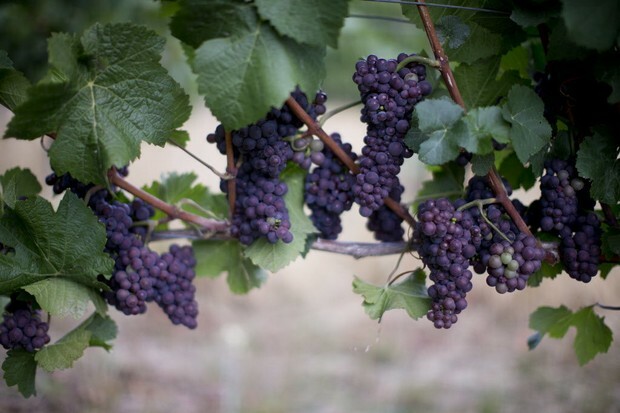 More than 20 percent of Oregon’s grapes come from Southern Oregon, from the Rogue and Umpqua Valleys, according to 2016 numbers provided by the Oregon Wine Board. But early tests from the 2017 vintage show smoke levels to be relatively low, Quady said. It’s unlikely that winemakers would let smoke-tainted wines reach the public, Jones said. “Most people if they had wines that had smoke taint, would decide how much they can treat it,” Jones said. “You wouldn’t want the public to drink wine that has taint and wouldn’t want your label associated with that.”Winemakers have tried various treatments to help mitigate smoke taint in their wines, though many can be expensive, Jones said. Many try to minimize the time the skins sits with the juice, by making rosé instead of pinot noir for example. Quady recently found adding activated carbon to pressed pinot noir juice helped with the noticeable ashy flavor. The grapes had come from what he believes is the most affected area in the Rogue Valley region. “If we know it was impacted and been affected by high amounts of smoke, we really need to send samples out and we’re faced with making rose as the best alternative instead of dropping it on the ground,” Quady said. But for now, there’s still no one-size-fits-all method capable of completely removing the flavor. Across the regions, winemakers see adaptation as the best way to fight both smoke taint and the increasingly warmer summers we’re experiencing across the state. Some are looking to diversifying the varieties they grow to include some that manage heat stress or drought conditions better than others. And Oregon isn’t the only wine region to wrestle with the effects of smoke and grapes. Parts of California, Idaho and Australia have also dealt with the setbacks at varying levels.In Australia, where rampant bush fires have inundated some vineyards with smoke, some vineyards will ferment the juice and take it to a distillery, Roco Winery’s Soles said. But less mature wine regions like Oregon’s might not have those safeguards in place. Many winemakers can’t talk about smoke taint without mentioning climate change and its distinct and tangible impact on Oregon’s wine regions, which in 2013 had an economic impact of $3.35 billion statewide, according to the Oregon Wine Board. 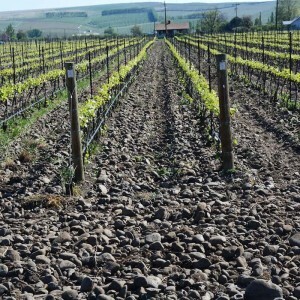 Higher temperatures will actually have a positive effect on Oregon’s wine production, at least for a little while. “A region like ours benefits (from a warmer season) in the first few years or few decades because we have more predictable vintages and we make riper, fuller wines that the public really loves,” Peterson-Nedry said. “Short term, it’s not a question if we’re going to exist as an industry, we’re going to thrive. It’s the long term that we’re all going to be coming to Jesus with the climate and what generates the problems.”And a large part of Oregon’s wine is expected to make it through the season just fine, though that doesn’t mean the entire state is in the clear yet, said Jones, who has visited about a dozen sites mostly in the Willamette Valley, Oregon’s primary winegrowing region. For now, winemakers are optimistic about the 2017 harvest, which begins as soon as next week and will run through at least October. Ripening times depend on the grape’s variety.